Secondary Viewport. This panel displays another view of the canvas with the same drawing features and live editing. 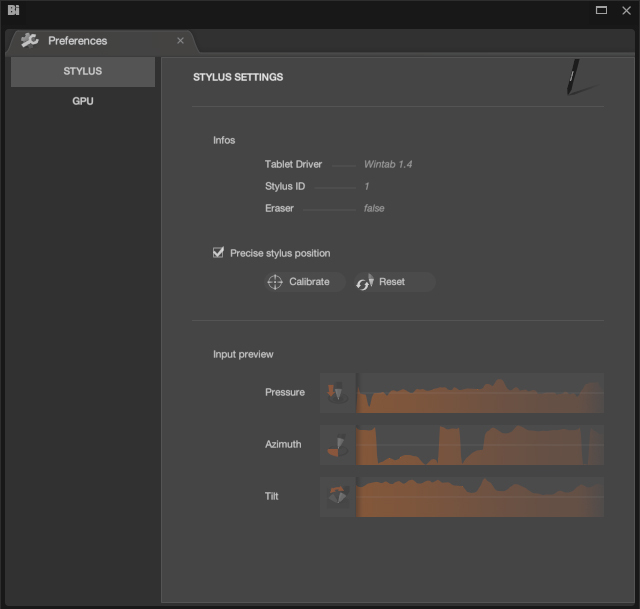 Stylus Section : User can now monitor some parameters of their stylus. 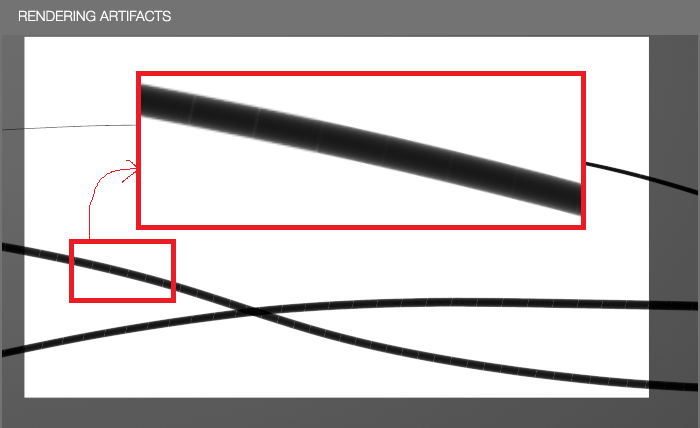 A calibration process is accessible now if Black Ink doesn’t retrieve correct stylus position. The Reset button sets the calibration values back to the driver’s default. 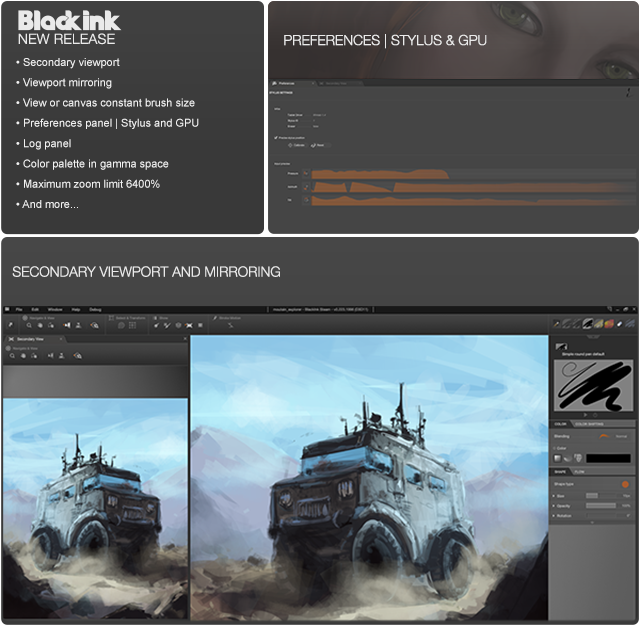 GPU Section : User can choose a rendering API, a specific adapter and whether Black Ink should wait for the VSync of the monitor when rendering the user interface. 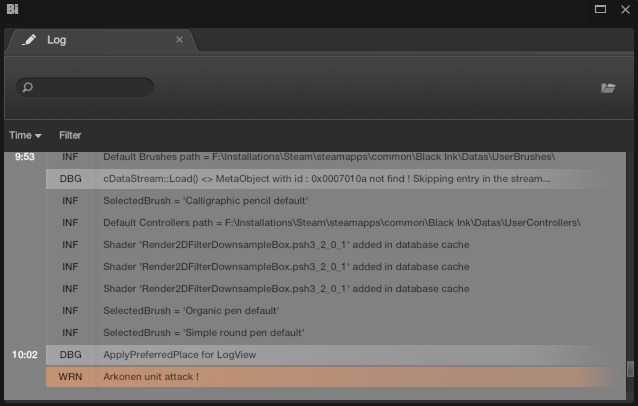 Notification Bar : Warning and error messages are displayed on this bar if the Log panel isn’t visible. Random crash when changing color after clicking the color button in parameter editor. Crash when using the Transform tool on little canvas. Crash when opening a grayscale JPEG image. An error in color mode blending equation. The lasso informations are now in canvas space. This enables the user to transform the view while retaining all lasso data. Color palette is now interpolated in gamma space instead of linear space for easier color picking. TestPanel 1 and TestPanel 2 have been removed. I'm really excited for this update. I wasn't expecting such a versatile viewport, but I'm loving it. Time to clock in those hours and have a blast! Thanks for all the hard work.